Online gaming is not as addictive as gambling, according to a new study by the Oxford University. 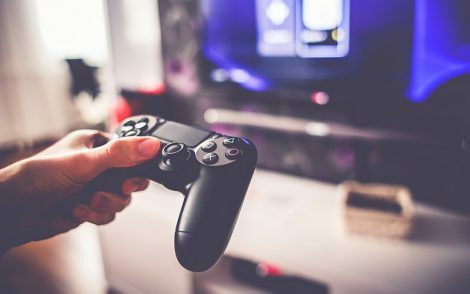 It is the first ever study to research the newly formed phenomenon called “Internet Gaming Disorder” (IGD), as well as the gaming addiction prevalence among the general population. Gaming, in this case, is referred to as online video and social games as opposed to internet gambling. However, such games have often been besmirched with the same accusations as casino gaming. Due to these allegations, many people have been wondering whether it should be regulated as strictly, because of their addictive properties and options for purchasing in-game skins and weapons. IGD was first identified by the American Psychiatric Association in 2013. The disorder describes a condition in which the player’s habits have become problematic and have started to interfere with the person’s functioning in real life. The APA has described this phenomenon as “condition for further study”, or in other words that it is not officially a disorder yet. Many commentators, especially in the video game press are questioning whether it exists at all. The Oxford University conducted an experimental study of 19,000 participants from UK, US, Germany and Canada. Over half of the subjects stated that they have participated in online gaming. Between two and three percent shared that they have experienced more than five symptoms of IGD. Some of those include anxiety, preoccupation with gaming, withdrawal symptoms when they are unable to play and missing school or work as a result of playing. The participants with five or more symptoms were considered as IGD sufferers. However, the study showed that their occurrence in the general population was statistically lower than with problem gamblers.